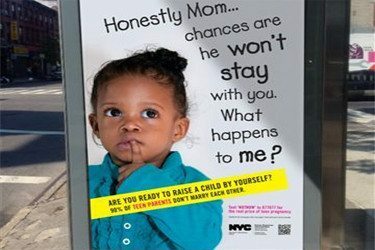 The New York Human Resources Administration (HRA) launched a new ad campaign this week that takes the use of shame tactics to prevent teen pregnancy to a whole new level. The ads feature images of young children alongside messages to their would-be teen parents. It’s hard to describe the ads as anything but horrifying and yet another link in the chain of shame-based teen pregnancy prevention efforts. It might be hard to believe, but there’s a component to the campaign that’s even worse than the ads. 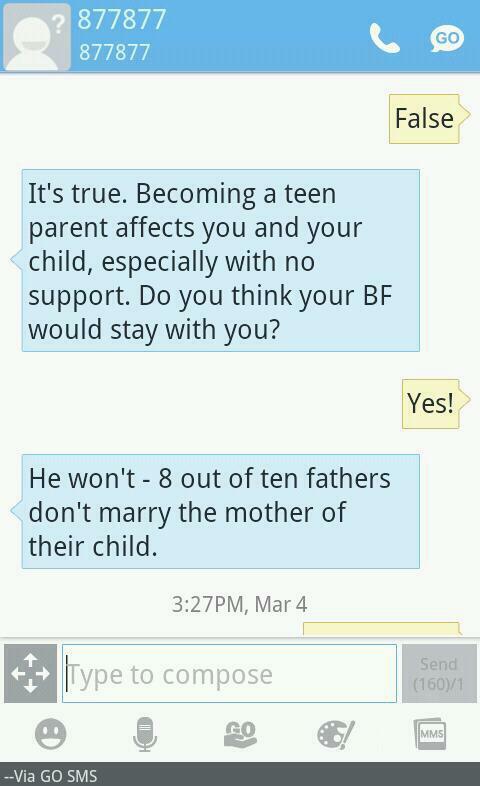 At the bottom of each ad is a message: “Text ‘NOTNOW’ to 877877 for the real cost of teen pregnancy.” I followed these instructions, and what resulted was a really screwy game of “choose your own adventure” via text message. The ads and the text message “game” are really terrible, provide no actual information about how to prevent pregnancy, instead reinforcing the stigma and social isolation faced by teen parents. Want to tell the agency what you think about the campaign? You can email the Commissioner of HRA here and also tweet at HRA here. 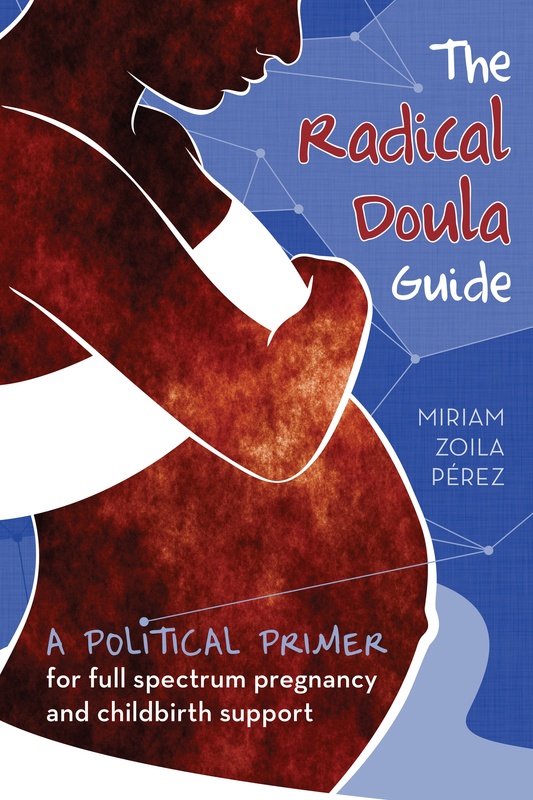 Previous Article Are there grants available for doula work?